The Los Angeles Rams defeated the New Orleans Saints in the NFC Championship game on Sunday by a score of 26-23 in overtime. 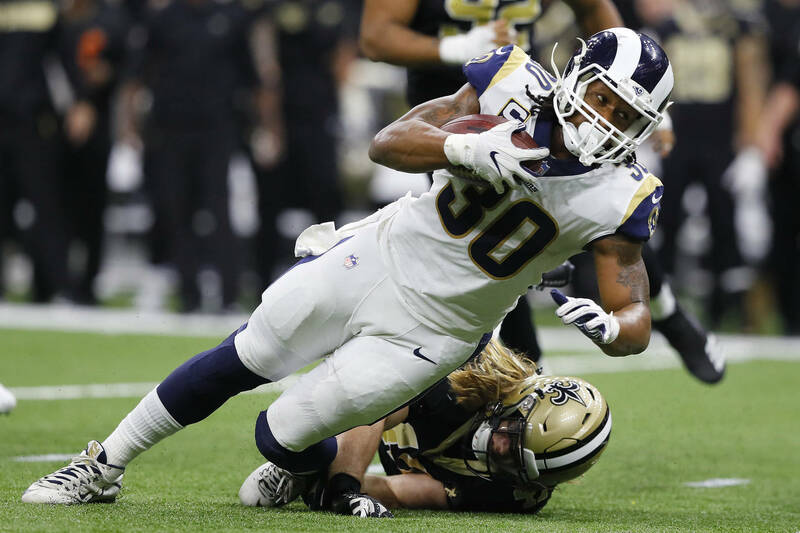 It was an incredibly exciting game, however, one interesting storyline was the lack of playing time for Rams star running back Todd Gurley. Gurley was seen on the sidelines for the majority of the game, with some thinking he may be injured. Rams coach Sean McVay explained what happened with Gurley on Sunday. Gurley was involved early, but he dropped a couple passes and wasn’t effective at picking up yards, although he did end up punching in a touchdown in the first half. McVay continued by saying Gurley will definitely get a better shot to show just how good he is when the team goes to the Super Bowl. The Super Bowl will be played on February 3rd in Atlanta.